The Keratin Salon by Salon Firdous is owned by Dheea Al and Brooke Menconi, husband and wife, both stylists with most of their experience in Boston, where they owned two successful salons. They relocated to start fresh and new combining their many years of experience to create a new concept for a salon. 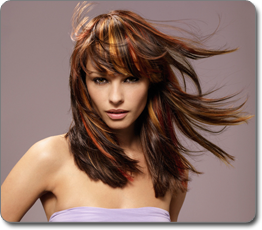 Both are master stylist and colorist always evolving and educating themselves with the latest in fashion and hair design. Both of them believe that the hair is an extension of the inner beauty and cannot not be copied but only created as an artist would create an original every time. The Keratin Salon by Salon Firdous © 2019 All Rights Reserved. Images on the sides of this website are © Keratin Complex.